Welcome to your family-friendly getaway with a difference! 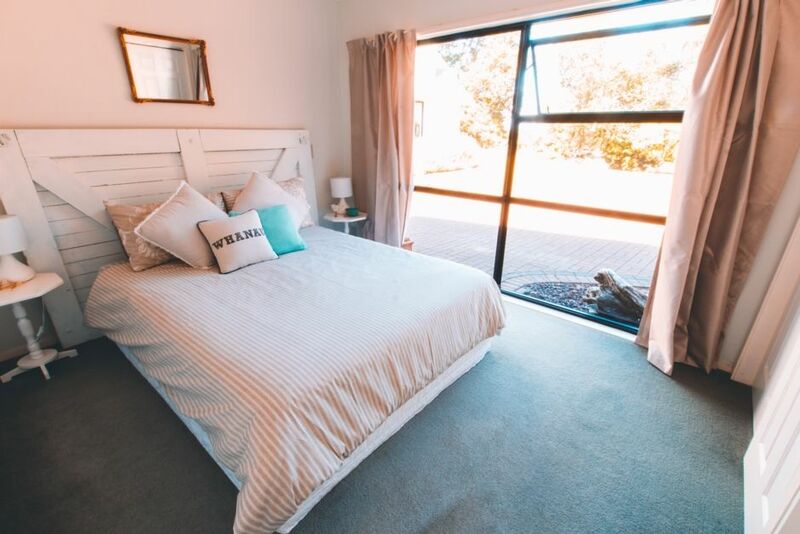 Only 5 minutes to the beautiful Lake Taupo (8 mins from town and airport), our clean and warm cottage is perfect for your summer holiday. Separate from the main house, you can enjoy your privacy or we are always happy for a chat. Kids can roam our five acre farmlet, playing with our friendly pet sheep, chickens, ducks and Sid the rabbit. Our cottage is perfect for couples of any age, groups of friends and families with kids. It is a lovely clean retreat, kept warm by a heat pump and the cosy sun that streams in the windows. Kitchen facilities include fridge, microwave, oven and stovetop, cooking and serving dishes and cutlery. We provide an assortment of teas and delicious plunger coffee with milk. The BBQ is also ready for you to use. (If you are really wanting to cook up a storm and the cottage doesn't have what you need, just come and ask.) The Haven Cottage is well equipped with linen, games, and some DVD's, and washing machine (with washing powder) and a clothes line. Free unlimited wifi is also available. Come and relax at The Haven! surroundings although TV needs a 21stC makeover and a bbq would be a useful addition. Stayed for a week and really enjoyed ourselves, would return. The Haven is a great property. This was our second visit. It is a short drive from downtown Taupo but feels rural. The Bach is comfortable and well-equipped. Would highly recommend. Great hospitality, fantastic for families with children! Our kids were allowed to use everything at the beautiful premises, e.g. the trampoline, the swing, the zipline (! great ! ), the sandpit, bycicles and so on. Our kids also loved to feed the animals (chicken, ducks) with their kids. There were also things for the kids to play in the cottage. The location is also great, short drive to Taupo and 50 minutes to Rotorua. We would have loved to stay longer! Highly recommended for families! Deb & Andy, thanks a lot for your hospitality! We very much enjoyed our time with you! The property is very nice and well kept, it is further from the town and the lake then we would have liked (15-20mins drive) but it was very peaceful and relaxing to be out of the sound of a big city for a while. Would definitely stay here again in future.